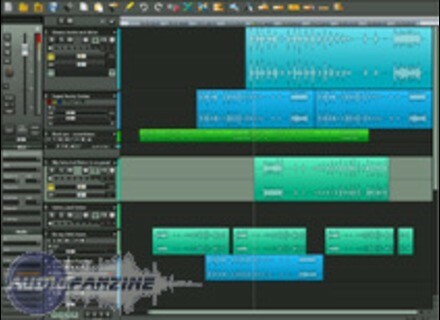 Samplitude 11, General Sequencer from Magix in the Samplitude series. A special limited time offer in partnership with Samplitude 11 and Tonehammer. Customers who order or upgrade to the latest version of Samplitude 11 from samplitude.com between November 23rd and December 23rd, 2010, will receive a special Tonehammer discount code for $200 (250€) off of Samplitude 11 or $400 (500€) off of Samplitude Pro 11. Starting on Tuesday, customers can use either of these two codes in the Samplitude web shop. In addition, any customer that orders or upgrades to Samplitude 11 by Dec. 23rd will also receive a secret discount code for $100 off on their next order from Tonehammer.com or Microhammer.com ($100 minimum purchase required, code expires on 11:59PM CST, Dec. 24, 2010). Any registered Samplitude users who already have the latest version of Samplitude 11 / 11Pro or Sequoia 11 will still automatically receive the same $100 Tonehammer discount code in their Samplitude.com user account area after November 23rd. Toontrack Releases the Metal EZMix Pack Featuring presets by producer and sound engineer Daniel Bergstrad. 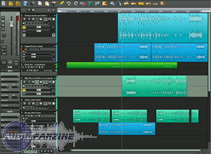 Acon Digital Media Releases Acoustica 5 Both the Standard and Premium Edition of Acoustica 5 contain several exciting new features. Korg Legacy Collection Series Has Been Changed Korg is now making each of the Korg Legacy Collection titles available as a separate download.